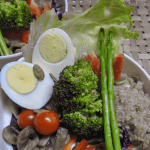 Buddha Bowls are ideal for Pegan diet, small quantities of food that fit the needs of the Diet. Pegan Diet is a combination of Paleo and Vegan diets and was developed by Mark Hyman and is the latest craze in the world of diets. 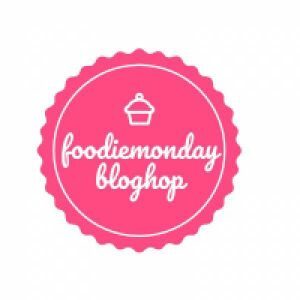 Frankly, I had never heard of it and when Veena of Veena’s VegNation suggested it for our #184FoodieMondayBlogHop I was sure it was an autocorrect mistake. But when Veena suggested we Google it, it opened the world a whole new world of the latest diet. Naturally, anything new and different had me obsessed with it and I was glad I am not the only one. The whats up chat was flooded with references and sites we could refer to for Pegan Diet. Paleo diet is also called a caveman’s diet. We eat what prehistoric men ate- seeds, nuts, vegetables, lean meats, fish and fruits. Vegan Diet leans to the other extreme with no animal products which includes dairy or honey. 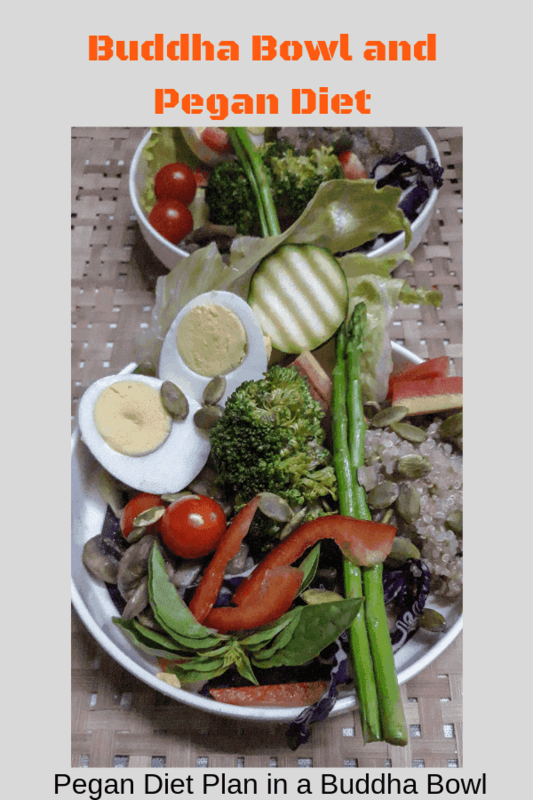 Pegan Diet is the middle ground where, according to Dr Hyman, real whole, fresh food in its natural state free of processed ingredients, refined carbohydrates, and additives are the best. For people who cannot do without meats yes you can eat them sparingly but it has to be meat that is necessarily grass fed. Please note these are my inferences and I am not qualified to say if the diet is good or bad. Please consult a doctor and a nutritionist before you follow the diet. The veggies you are allowed are basically non-starchy vegetables. Sugary fruits are again disallowed. Proteins meats and fish you can eat but have to be sustainably sourced (meaning sourcing integrating ethical, social and environmental performances into account) and grass-fed meats. Don’t forget meats also contribute to the fats you consume. Meats are more as condiments and not the main course. Grains and Legumes are allowed but should not exceed 1/2 cup per meal and legumes not more than 1 cup per day respectively. I have tried to make tables for foods that are allowed, allowed sparingly and disallowed as an easy guide To Pegan diet. Cauliflower, Broccoli, Tomatoes, Peppers, Eggplant, Mushrooms, Leafy vegetables, Bamboo shoots, Brussels sprouts Apples, Berries that are dark, Cherries, Mangoes, Pineapples, Citric fruits, Avocado, Pears Omega-3 fats, Olive oil, Nuts, Seeds, Avocado oil and olive oils that are cold-pressed, unrefined coconut oil. Pegan diet is a great way to control diabetes as you are controlling sugars and starch, eating fewer meats and processed foods. With more fibre and fewer calories you will get healthier, your weight and heart issues are more effectively managed. Though Pegan Diet sounds great I am trying to think where I can get the ingredients. Most of them will be available in supermarkets. Obviously, it will have to be organically grown and the vendor should be following the principles. If he follows the principles the food will be expensive and if he does not my diet will go for a toss. Also, in a country like India where vegetarianism is a norm restricting legumes, beans are depriving people their proteins. I am sure I will not be able to look at the raw meat let alone eat it. Avoiding some foods can cause deficiencies in nutrition and lead to health issues. Lastly most importantly if even hubby and I follow the Pegan diet we’ll be able to continue it? It seems like too much work. I have 2 more members in my house whose needs are at 2 ends of the food spectrum, cooking 3 kinds of meals and then working the whole day, every day is what I don’t see happening in my life. Not at least in the current home scenario. Having said this we did enjoy our meal which has the following components and we will love to eat our Buddha Bowl of Pegan Diet occasionally. 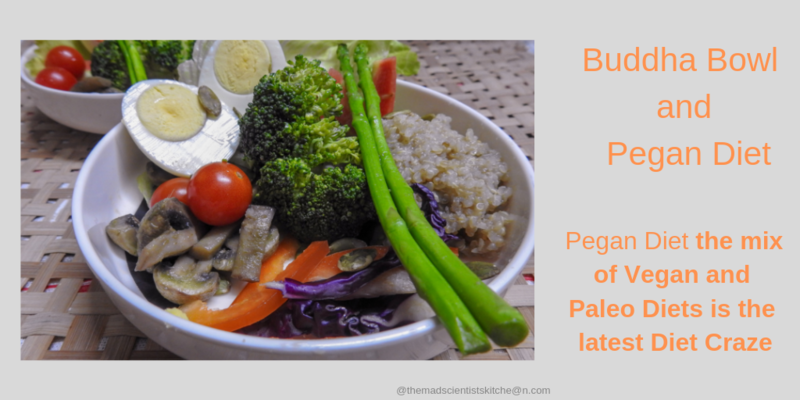 Do join me when I take another look at Buddha Bowl and My take on Pegan Diet. P.S. Here is the link for Cooking Quinoa. Buddha Bowls are perfect for Pegan diet, you can customise each bowl with the recommended foods. Add the mushrooms in a deep pan of water so that all the grit is washed off. Set the water+ salt to boil the eggs. Rinse the quinoa and set aside. In a deep pan add water to boil this is for the quinoa. By now the water for the eggs must be boiling. Put the egg in a ladle and lower it in the boiling water. I needed to boil 6beggs. Let them boil for 8-10 minutes for a hardboiled eggs. When cooled peel and set aside. Add the quinoa and some salt to taste to the boiling water and mix well. Keep the flame on low and let the quinoa cook. The grains are cooked when you can see the Germ Check more about boiling quinoa in the link in the notes. Add salt, garlic, some say about 3 tbsp onions to the mushrooms, chilli powder and set aside. Meanwhile, drain the eggs and in the same pan add the broccoli and a little water, salt and steam the broccoli. In a sauce pan add the garlic, 1 tsp olive oil and roast till the raw smell goes away. Add the asparagus and sauté till done. Set aside. Add 1 tbsp oil add the rest of the garlic and onions and sauté. Add the cooled quinoa and sauté. Set aside. In a wide bowl add the lettuce leaves. Add 1 -2 tblsp of sautéed quinoa, 1 tblsp mushrooms, the veggies, eggs and garnish with pumpkin seeds. After all this, the bowl was over in a scant 10 minutes! You could also sauté the broccoli I did not. Love the way you have elaborated the Pegan diet di ! Buddha bowl is a smart way to control portion size and it is been on my to-do list for a long time now. Your post tempts me to try one soon. Loved your Buddha bowl. So colourful and definitely healthy. Perfect diet for diabetic people. Great share. Tag me I will love to see what you make. Buddha Bowls are a great way to include a variety of things in limited portions. I loved the variety of vegetables used and especially the asparagus looks really fresh and tender. Wholesome and Healthy. Thanks, Vidya the asparagus was tender and did not have to peel it. This Buddha bowl looks so healthy and nutritious. I have been planning to make one for such a long time. Yours looks so tempting. Do make and share Preethi. Will love to see your Buddha Bowl. Thats a very detailed, and interesting post Archana ! thanks for all the info … these buddha bowls are so versatile and perfect to dig into. I especially loved the use of asparagus here, and looks like the entire Veg market from Goa is on this healthy plate ! well done ! Archana love how detailed your write up is for the vegan diet. Easy to follow and so informative. The Buddha bowl looks very inviting, nutritious and perfectly balanced for a pegan diet. Veena you know me and my craze for details. ;D Nitpicking 😀 Thanks but. 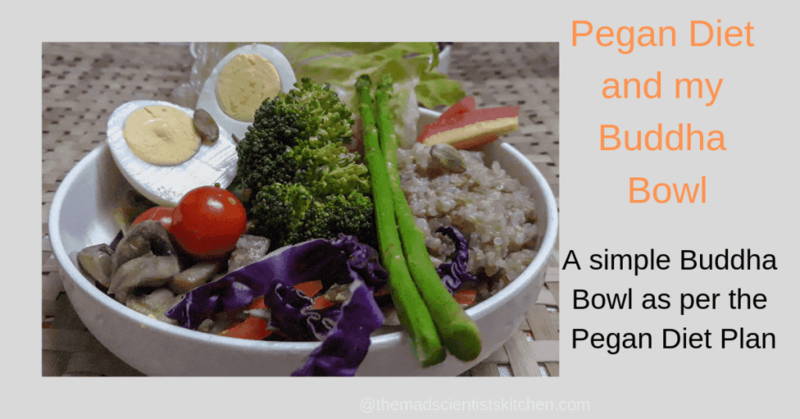 Your buddha bowl looks healthy and delicious.The pegan diet sounds a bit like the keto diet. Like you mention – this is the latest diet being talked about social media. Your dish is balanced which is good. I will follow any diet as long as it is well-balanced. Too much of Protein or anything else is not acceptable to me. Rather eat moderate amounts of all the food.